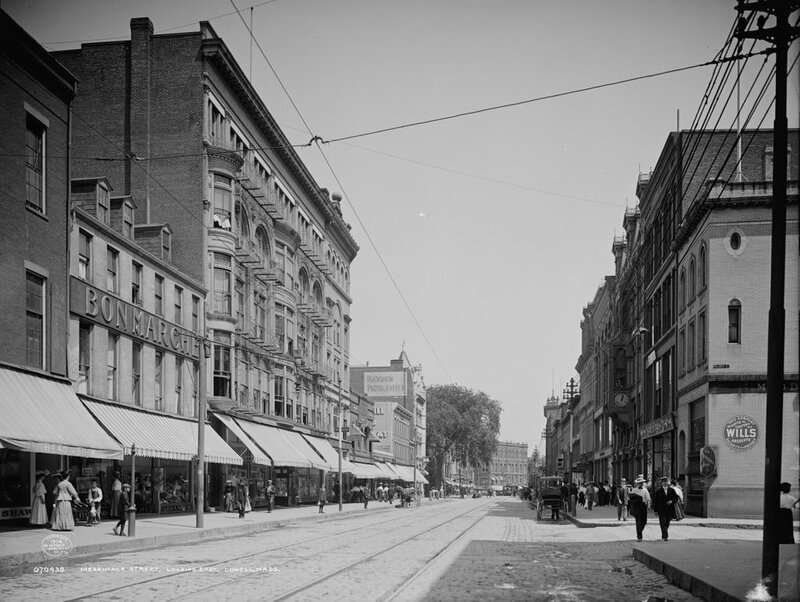 Merrimack Street in Lowell, looking east from the corner of Kirk Street around 1908. Image courtesy of the Library of Congress, Detroit Publishing Company Collection. 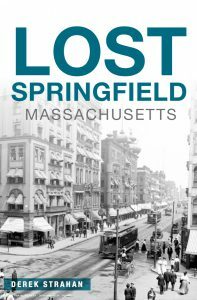 The city of Lowell was once one of the major manufacturing centers in the country, and for much of the 19th century it was the state’s second largest city. This section of Merrimack Street became the commercial center of the prosperous city, but by the mid 20th century most of the factories had closed, the population declined, and there wasn’t much economic development in the downtown area. 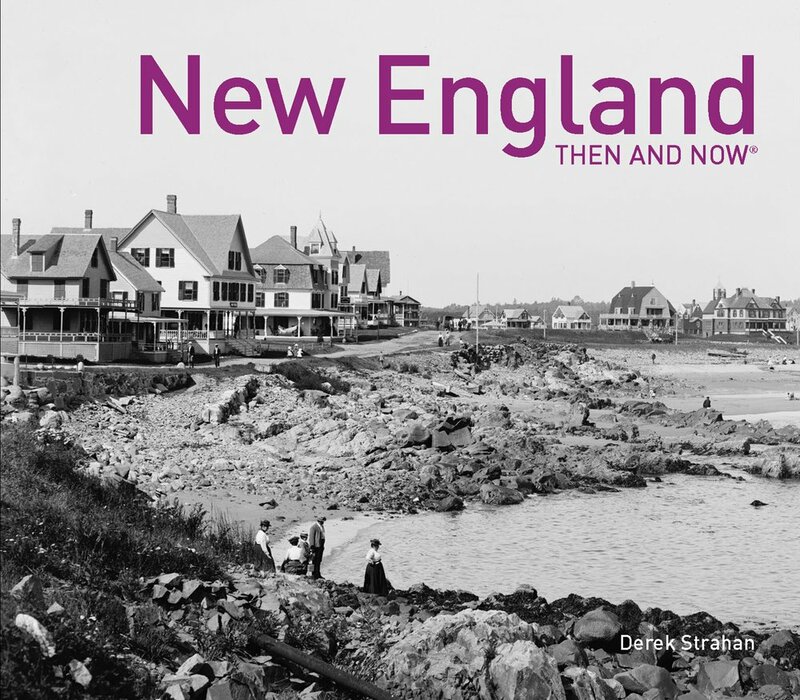 From a historical preservation perspective, this actually worked out, because today’s Merrimack Street includes a number of historic late 19th century commercial buildings that may have otherwise been demolished and redeveloped. 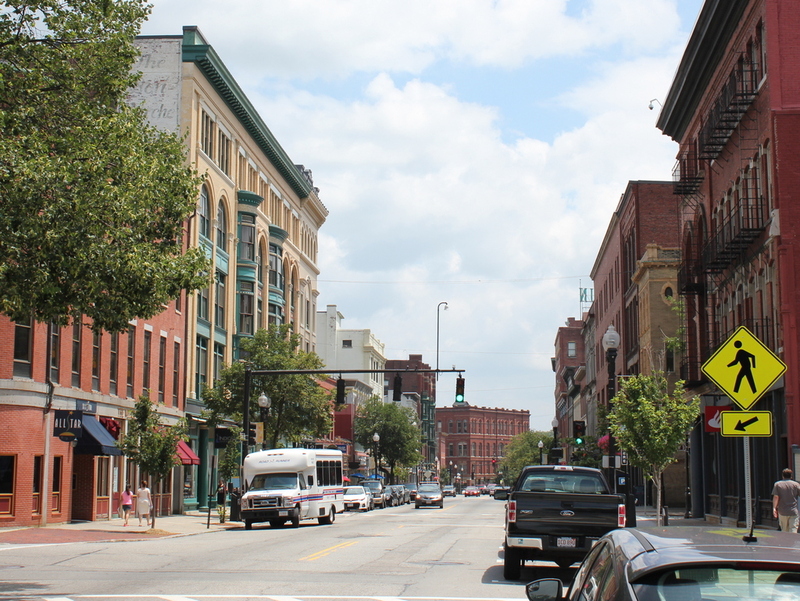 The city has since undergone a revitalization, thanks in part to the creation of the Lowell National Historical Park and the growth of UMass Lowell. Other historic buildings include the 1846 Welles Block, visible on the far left. (The 2015 photo was taken from a little further back, so more of the building can be seen in it than in the 1908 photo.) In the distance at the center of the photo is the Runels Building, also known as the Fairburn Building. It was built around 1892 for retail and office space, and in 2004 the upper floors were renovated and converted into condominium units. On the right-hand side of the street, probably the most obvious surviving building is the 1893 Middlesex Safe Deposit and Trust Company Building, another one of many commercial buildings on Merrimack Street that was built in the 1890s. The building, with its distinctive oval window on the side, is at the corner of Merrimack and Palmer Streets, and over the years has been used as a bank and as a fur company. Today, the exterior of the building is well-preserved, and the retail space on the ground floor is a bakery.